Nearly 25% are metatarsal stress fractures. Causing discomfort on the tops of feet below the toes, these stressed areas can severely worsen and cause further issues if left untreated. 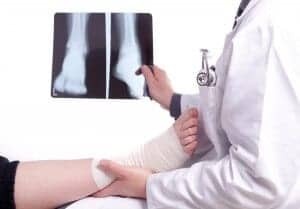 At the Beaver Valley Foot Clinic, we have everything needed to help you accurately identify and properly treat these fractures. 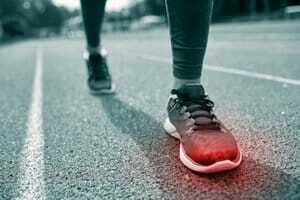 Stress fractures are most commonly caused when exercise is increased too rapidly. When muscles are overly fatigued and are not able to absorb enough exercise-induced shock, the excess stress is transferred to the bone. This results in the development of thin cracks within bones, as they are not able to handle such pressures. Those with osteoporosis and rheumatoid arthritis are especially at risk for stress fractures, but it is important for everyone to take precaution when it comes to increasing your exercise routines. Stress fractures in the foot cause severe pain, tenderness and swelling. Although exercises such as running may sometimes help to relieve some of the pain, afterward the pain and swelling will be even more intense. Bruising and pin-point tenderness can also accompany increased swelling. If one or both of your feet have bruised and swelled to the point of discomforting pain, contact our trained professionals at Beaver Valley Foot Clinic as soon as possible. Treatment can include a wide range of solutions. Of course sufficient rest and a break or decrease from pain-inducing exercises should be taken, but exercises such as swimming can help reduce pain without compromising on fitness. Never continue any exercise that yields damaging pain. Also, wearing supportive hard-sole shoes, rather than flats or heels, will help give your feet support where it is needed most. Your doctor may also set up a cast form if extra support is needed for the stress fracture to heal properly. Though it can take months of wear, such casts should not be taken off too early or else the stress fracture may not completely heal. The highest risk of stress fractures, are previous stress fractures. At the Beaver Valley Foot Clinic, we have everything necessary to help you accurately identify and properly treat metatarsal fractures. The goal of our treatment plans is to help you return to everything you enjoy, as well as prevent problems later. Call us now for more information on the causes, symptoms and treatments for stress fractures, or to schedule an appointment today!